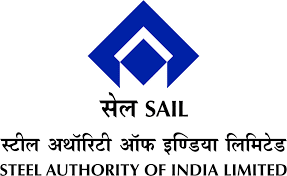 Steel Authority of India 2018 SAIL Jobs Notification. SAIL is inviting applications for the positions of Resident House Officers, Registrar, Senior Registrar posts. Interested and Eligible candidates can apply for the positions. Last Date for Submission of Application is on September 05th, 2018..
1. Two recent passport size colour photograph duly self attested. 2. All educational Certificates & Mark sheets from Metric onwards. 3. Certificate of Registration issued by Indian Medical Council. 4. Experience Certificate, if any. 5. Caste / Category Certificate issued by Competent Authority in case of SC/ST/OBC candidates. 6. Disability Certificate issued by Competent Authority in case of PWD candidates. 7. NOC from present Employer, if already employed in Govt./PSU/Autonomous bodies. Selection is subject to medical fitness as per rules of the Company.